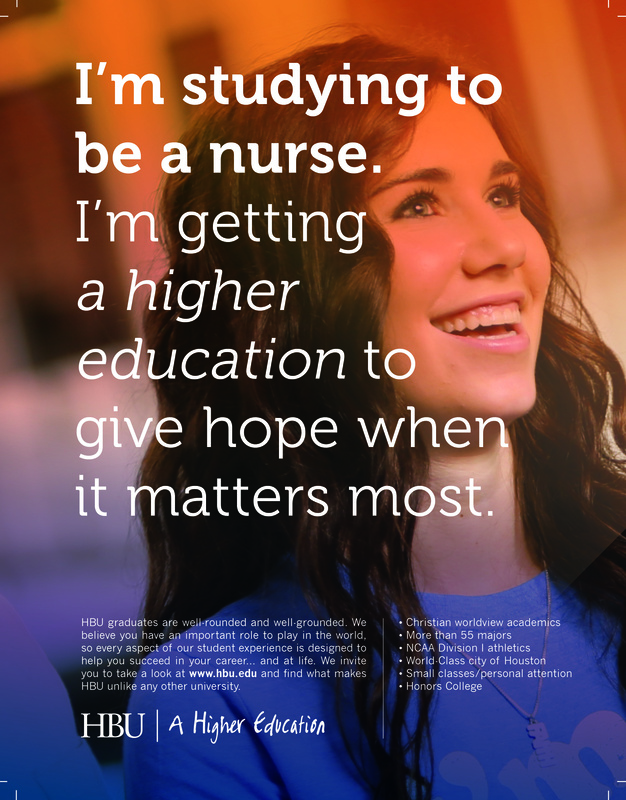 The “A Higher Education” campaign was designed to support Houston Baptist University’s 12-year vision, which required aggressive growth, increased on-campus residency, and an elevated reputation among key audiences. 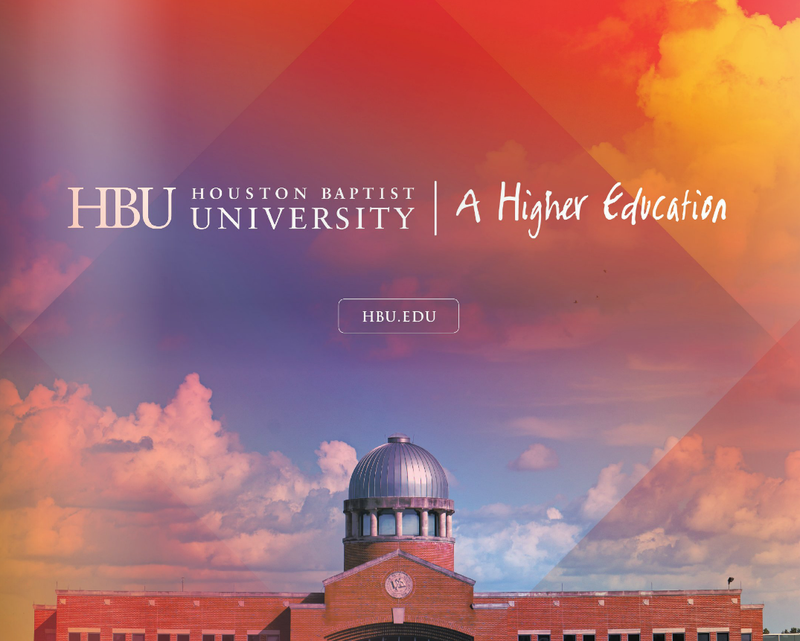 Through months of exploration and testing, our team settled on the tagline that represented the purpose and distinct value of HBU. 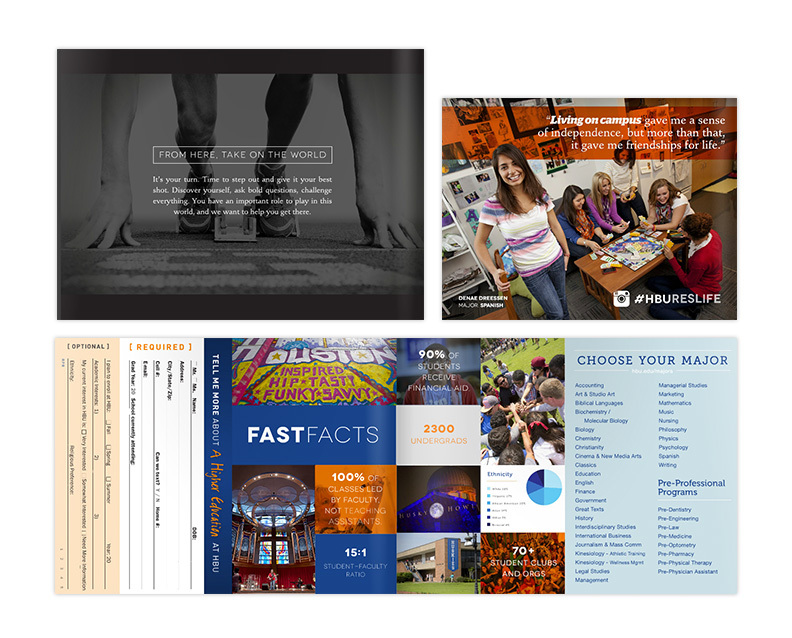 We worked with agencies Commerce House and The Ward Group to develop an ad campaign, and I provided creative direction, design, and writing for an overhaul of all marketing materials by the in-house team. 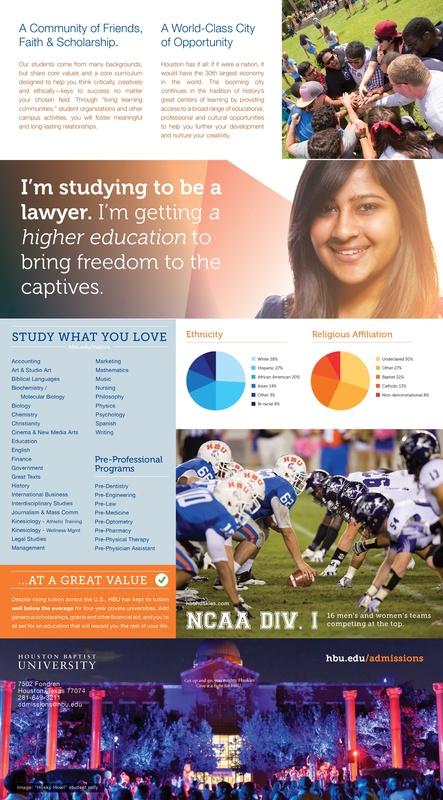 HBU saw enrollment increases of 20% over two years—ten times the national average among similar universities. These were consecutive record years for the institution as well.